I am currently in Sydney on an exciting learning journey from Singapore. I have spent two days at the #AISITIC (Australian Independent Schools IT Integrators Conference) which was truly inspiring (you can read my thoughts/notes from yesterday’s blog post by clicking here). I was lucky enough to stay in Sydney for one more day to connect with top educators by going into their schools and seeing their integration and innovation first hand. Today was that day! 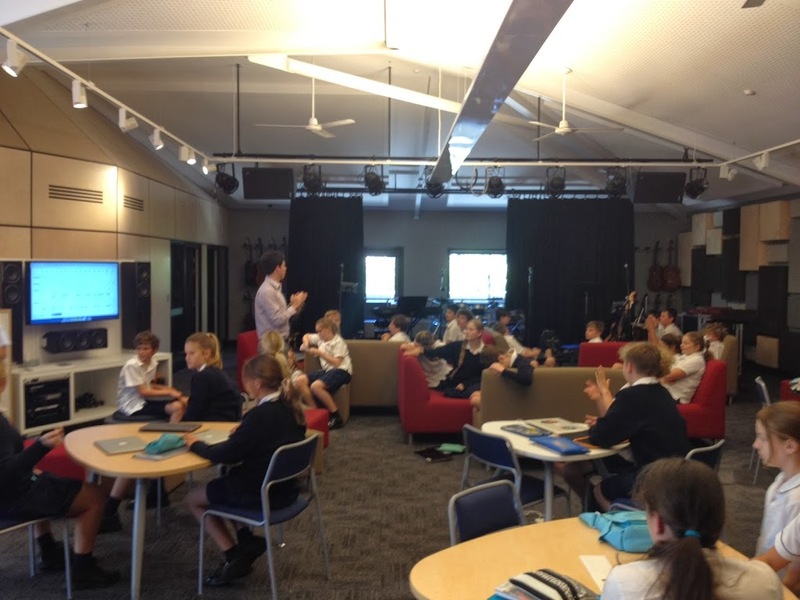 My first stop on my inspiration day was Waverley College. Westley is a well known educator in Australia and has been at Waverley for two years. He has been brought in as the Director of Learning Innovation to kickstart a change in learning culture and to innovate and lead the way in learning pedagogy. 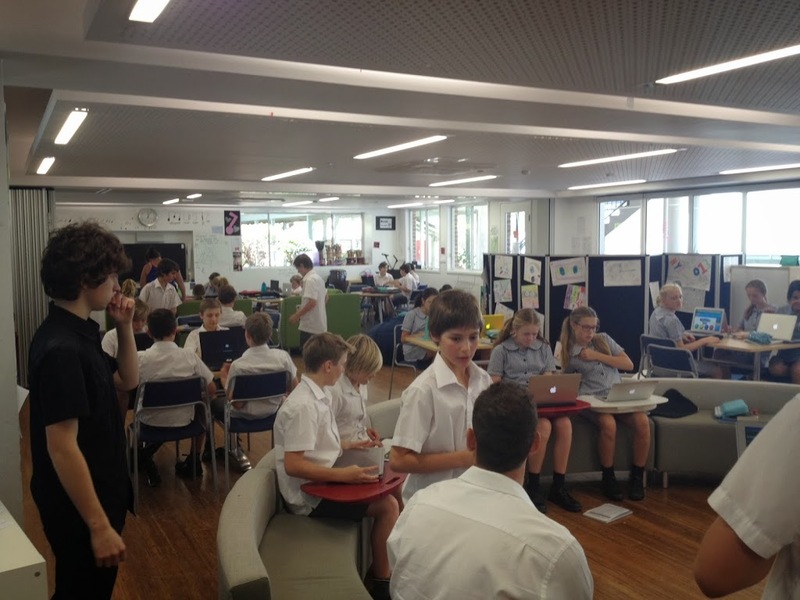 I had the opportunity to look around the learning spaces and see the students working on their 1:1 laptops (Mac) and I got to work alongside Westley as he taught his Year 7 Creative Thinking class. Westley is trialling a different way to teach and is encouraging teachers to get involved. 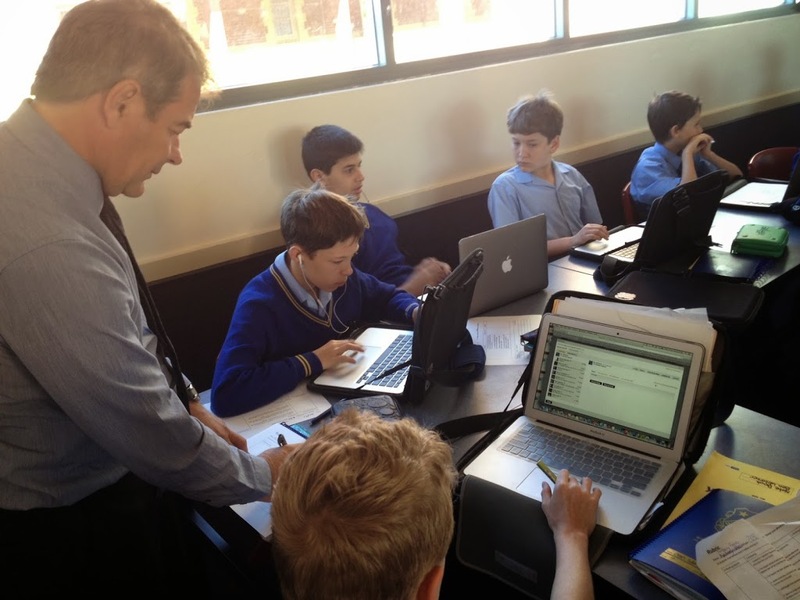 In this class he is working alongside the classroom teacher to facilitate this new “blended learning” approach. Westley is trialling this approach with this group on an individualised process of student directed learning to create a digital e-portfolio. 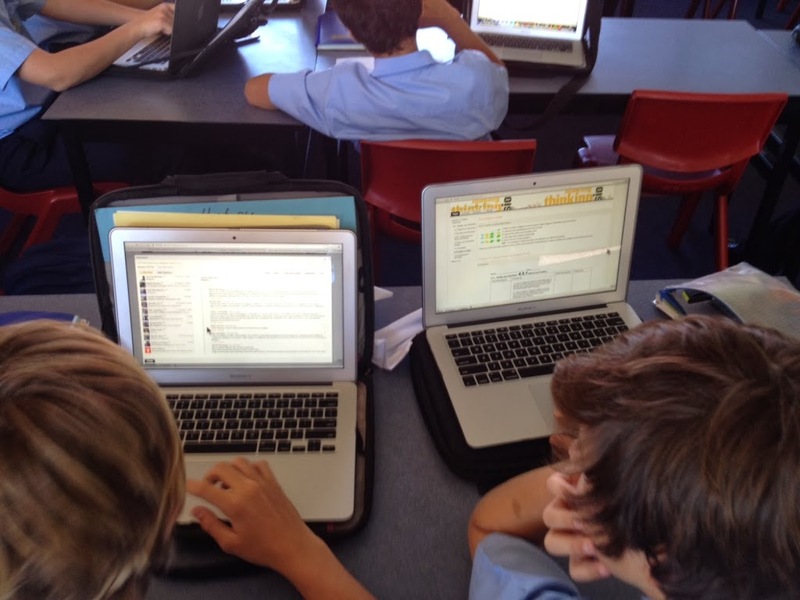 The students go through the process (staged rubrics) at their own pace and get signed off by the teach which is logged into the LMS (Haiku) for students, staff and parents to track progress. The stages are broken down into 3 -4 objectives per stage that the students complete and then move to the next stage. It is a scaffolded learning process that allows differentiation as teachers can work 1:1 with students on their learning. I had a fantastic time at Waverley and have taken away a lot of great ideas that I can support staff with at my school. I would love to see the progression of this trial in 2014. Thank you Westley for making me feel so welcome! My contact here is the world renowned and inspirational educational leader Stephen Harris (Stephen is the founding director of SCIL and Principal of NBCS – you can find him on twitter at @Stephen_H). At the #AISITIC I met a fantastic teacher at NBCS as well and had the honour of meeting up with him and seeing him in action – Chris Woldhuis – you can find him on Twitter at @cwoldhuis. The first word that comes to my head to explain my first impressions of NBCS is “WOW”. Stephen Harris is a global educator and has let his vision for the best possible education come to reality at NBCS. It is amazing from your first step inside the school. 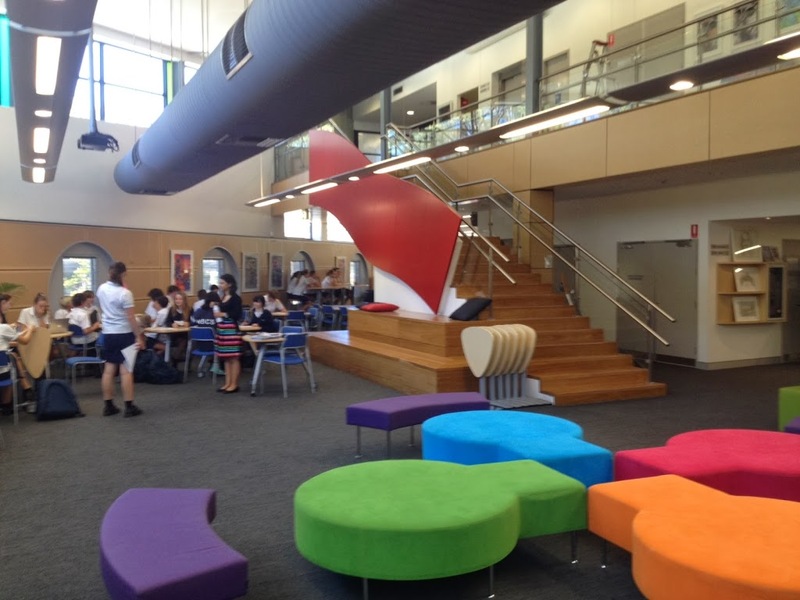 Learning spaces are open, colourful, creative and student controlled. There are multiple classes working in an open space at any one time and students choose their learning environment for the teaching activity. Students work respectfully and obviously live their environment. The research the pedagogy supporting this innovative learning environment is the key. Stephen has spent years researching and working with the world’s best professionals to create an environment that is different and innovative in EVERY way. 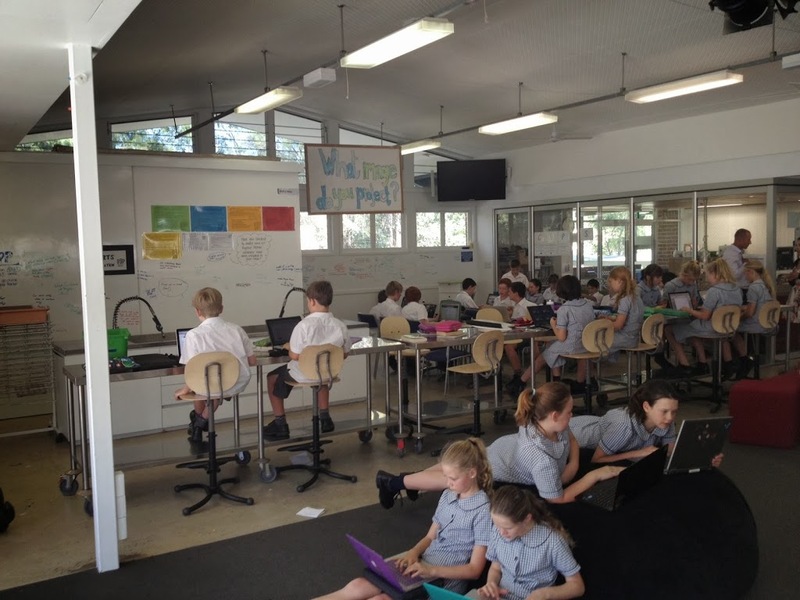 As I walk around the Year 5-6 space there are 6 classrooms working in different areas, all doing different learning activities and all engaged with a device to support their learning. My initial feeling is ‘overwhelmed’ but as I speak to staff and students I understand that it is just ‘the way we do things around here’. The culture of the school is so strong and this ‘oozes’ from every inch of the space. 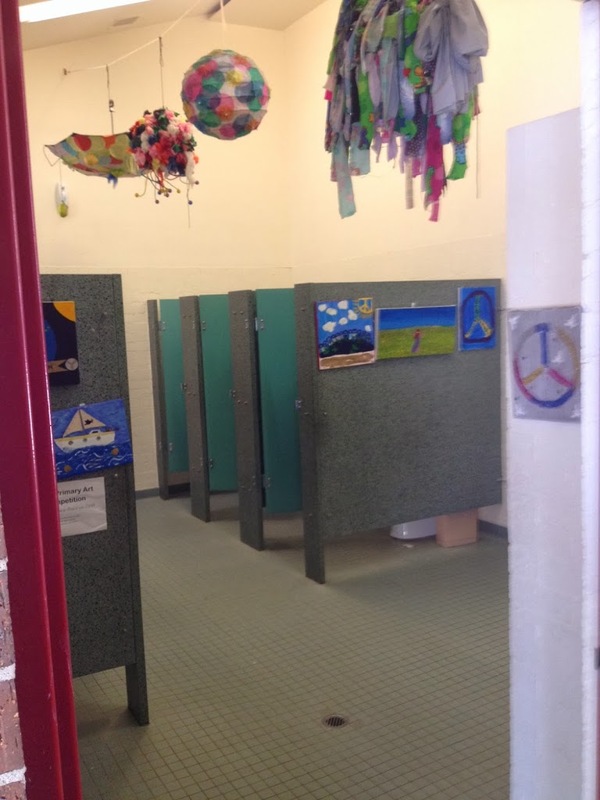 I walk to the Junior School and notice a toilet block decorated with student art work (below). 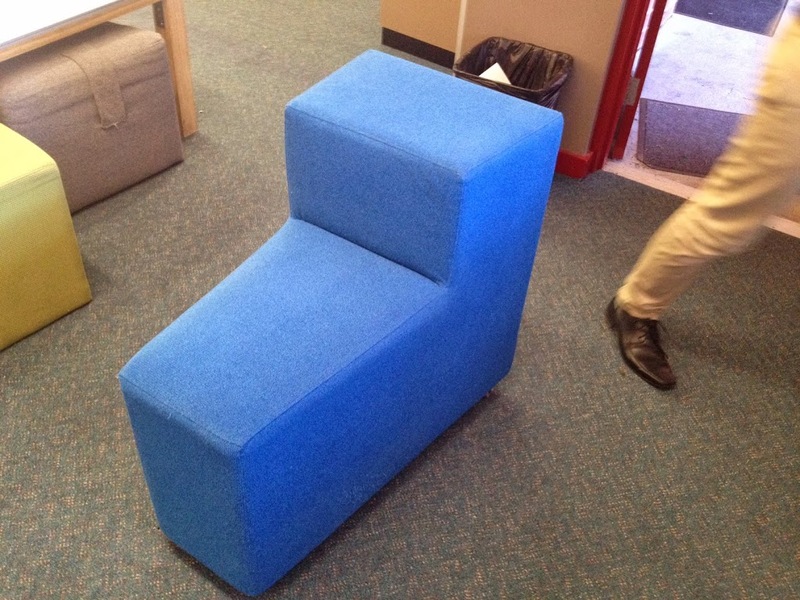 I am told that the students thought the space was dull so wanted to brighten it up. They chose the work and put it up and there has never been any vandalism or damage – they own the space and clearly respect it! I LOVE IT! If I can take even a small part of this learning environment and transition it to what we are doing in Singapore, our school will be better off for it. I could go on forever about the pedagogy and learning environments established by Stephen at NBCS but the best thing to do is go and visit for yourself. I look forward to coming back and seeing the school with more colleagues over the next few years. Thank you Stephen and your amazing team for making me feel so welcome – you are an inspiration to me and many others! My last stop today was to SCEGGS Redlands. Maurice has literally just started this exciting new role at SCEGGS (within the last week) so I only had a small opportunity to catch up and visit the school. For me though, this was the perfect end to my day. Catching up with a passionate educator about what he loves to do. Maurice is clearly a reflective practitioner and to meet such a driven person is really uplifting. If I can do half the things that Maurice has achieved over the past several years I would be incredibly happy. Maurice talked about his passion for pedagogy – again this word keeps coming up and again I realise the importance of research based practice to justify the great things that we are doing. We discussed learning spaces, learning environments, devices, Mac vs PC, leadership thought processes, curriculum integration and general technological advances in education. I left here for my drive back to the city and all I could think of was “WOW – imagine if I had the opportunity to set up a school with such forward thinking and innovative practitioners – we would be leading the way in education for sure”. Maybe one day this will become a reality! Year 7 students at Waverley are trialling an exciting new inquiry based process during their “Creative Thinking” classrooms with Westley as a lead practitioner. 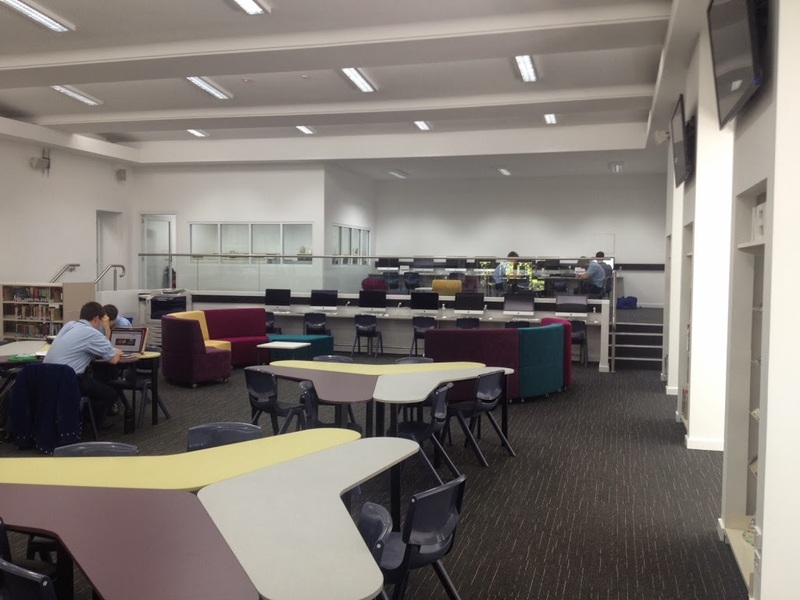 NBCS – more of the Year 5-6 learning space (down the short steps), 2 more classes working collaboratively and utilising space amazingly well – they definitely have ownership! 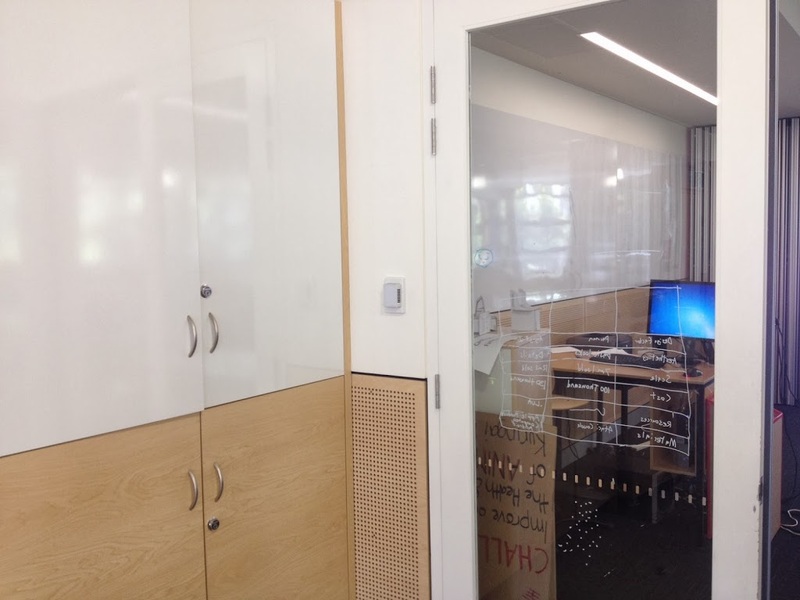 NBCS – no space is left unused, every window can be written on and has markets there, every cupboard is a whiteboard, no whiteboards on walls, just whiteboard paint and old whiteboards used as whiteboard desks – truly amazing! Even the toilets at NBCS is student owned. Student’s decided they wanted colour in the toilets so they created art and put it up. No vandalism, no destroying of property because they are proud and they own the space! 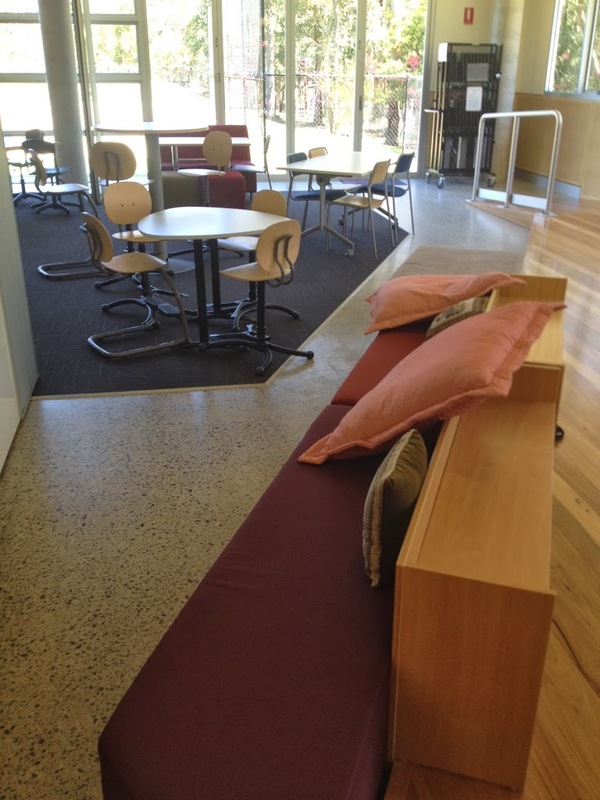 Another great shot of the furnishings and space utilisation at NBCS. Notice the 3 different levels of work spaces (low, medium, high), the variation of flooring to split the spaces without walls and the variation of pillows, chairs, floor, couches etc. 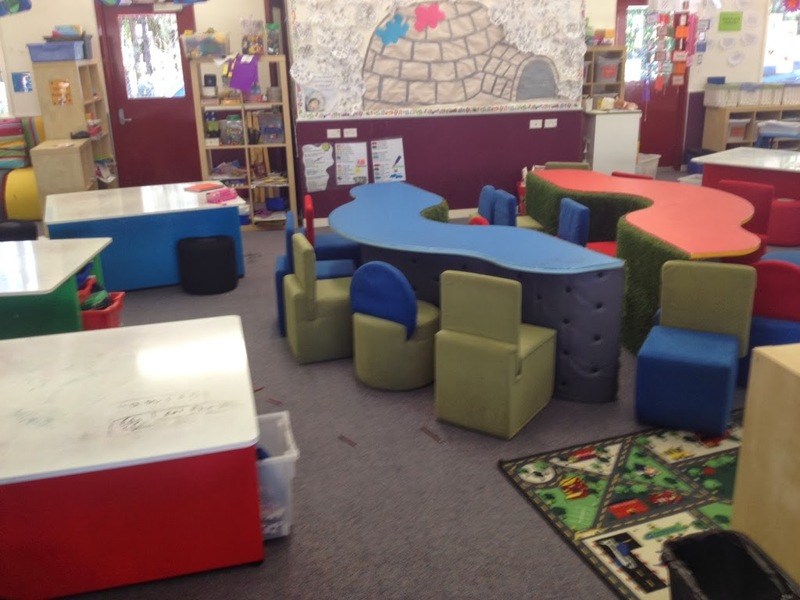 This is the middle part of the year 1-2 learning space at NBCS. Notice the whiteboard tables, colourful furnishings and the portable furniture. The two tables in the middle can be turned on its side to change between work tables and play (e.g. slide/climbing tool). AMAZING! Yes every white space can be make useful and purposeful, this season I am looking at enhancing the learning space of computer labs! Will need all the ideas out there!